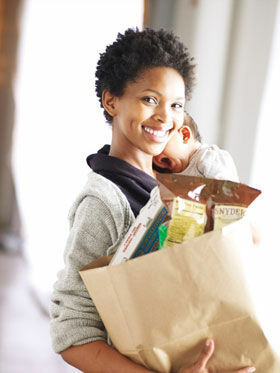 The first trip to the grocery store with a newborn in tow can seem overwhelming and be a source of unwanted stress. 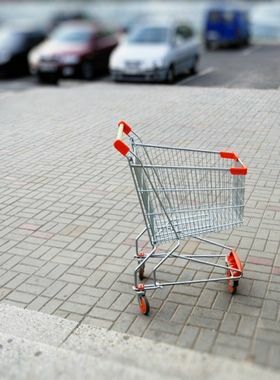 Here are some ground rules for conquering that shopping list with ease from the parking lot to the checkout counter. Go on weekday mornings, when stores and parking lots are less crowded. If you and your partner hit the store together, one of you can focus on the baby while the other grabs the goods. She'll be less fussy in a carrier or sling, and you'll have more mobility. For some road-tested carrier options and information on how to tote your tot safely, visit our buyer's guide. 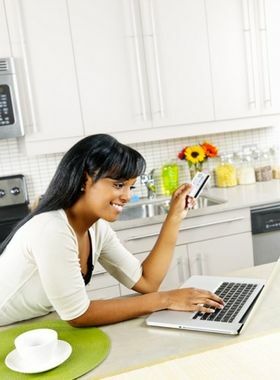 Websites like NetGrocer will overnight just about anything to your door, and many local supermarkets let you order online, then do the shopping for you—all you have to do is pick up or arrange for delivery.